Bold and unusual, the Kia Soul might not fit into any conventional market segment, but then that's a large part of its appeal. Bold and unusual, the Kia Soul might not fit into any conventional market segment, but then that's a large part of its appeal. You have to admire Kia's decision to build it, and its relative success around the world shows that not everyone out there wants their cars to fit into the established categories. To try and make you understand where it fits though it's a tall, tough-looking hatchback that's got hints of SUV and MPV about its styling. Size-wise think between supermini and family hatchback, too. The Soul could be squeezed into the cover-all 'crossover' category, its chunky looks and tall stance filling that segment's brief to the letter. There's no four-wheel drive though, nor is it meant in any way to go off-road. Introduced in 2008 apparently the styling is influenced by a wild boar. Yes, seriously. It's certainly a bold-looker, standing out from the humdrum, and its lofty stance means you get a good view over all but the tallest traffic, too. Kia's wild palette of colour choices - and the availability of decal kits to personalise it - add some character too, though most do without the stickers in Ireland. Inside, it's spacious, with excellent headroom all round and good legroom front and back, too. The boot is a good size as well, though the flimsy luggage cover looks like a bit of an afterthought. The cabin's layout is all nicely functional, while build quality is high - even if the plastics in places feel a bit tough rather than tactile. It all feels like it'll last well, and put up with the heavy wear and tear of family use. The first Soul was produced until 2013, before being replaced by a significantly revised, but near identical looking new car. Kia offered the first generation Soul with 1.6- and 2.0-litre petrol engines in some markets, but you'll do well to find anything but the 128hp 1.6-litre CRDi turbodiesel in the classifieds here. It was available optionally with an automatic transmission (a popular choice) in place of the standard five-speed manual gearbox. Trim levels are simple, with even the entry-level cars coming with a generous level of equipment, while Kia's lengthy warranty means many will still come with cover. A mild facelift in 2011 brought revised engines (same capacities) with improved economy and emissions, and the adoption of six-speed manual and automatic transmissions. There's only one real engine choice, that being the 1.6 CRDi. We'd have it with the standard manual gearbox for the improved economy it offers, but if you prefer the convenience - and don't mind the slight penalty in consumption - the auto isn't bad either. 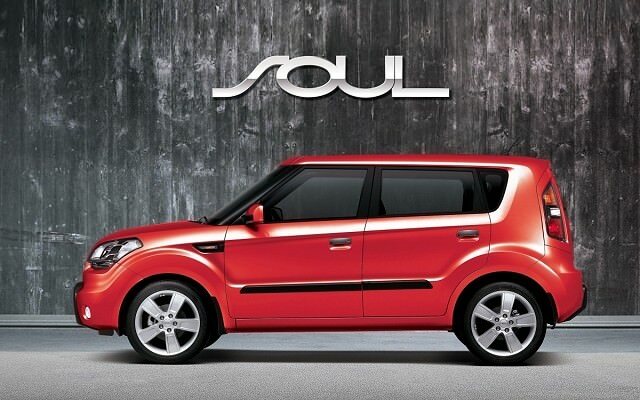 It might defy conventional categorisation, but the Soul's deservedly won a lot of sales around the world. It's practical and different, and while it's not as interesting to drive as it might look, it's a very competent, spacious and reasonably comfortable all-rounder. If you want something different with no real compromises then the Soul could be exactly what you're after.